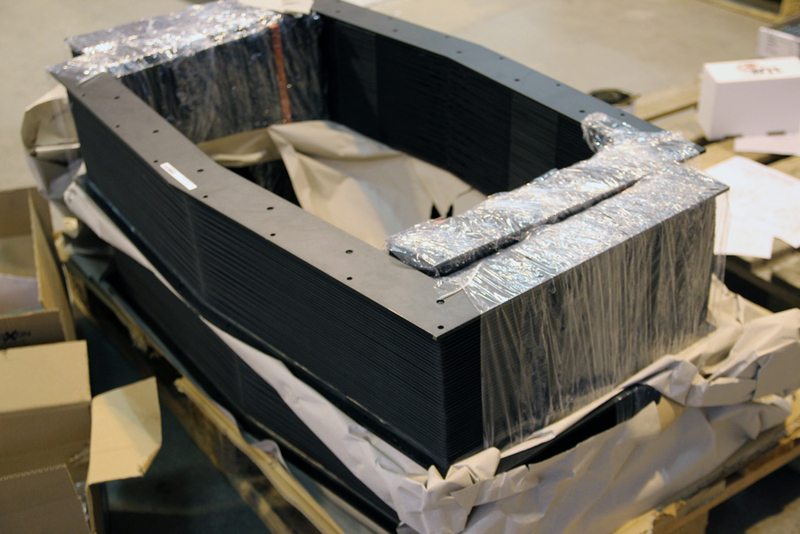 All water Jet Sweden machines are built for long life and high performance. A profitable investment for many years of competive advantage. These design principles also includes the new multipurpose, entry level T-model. 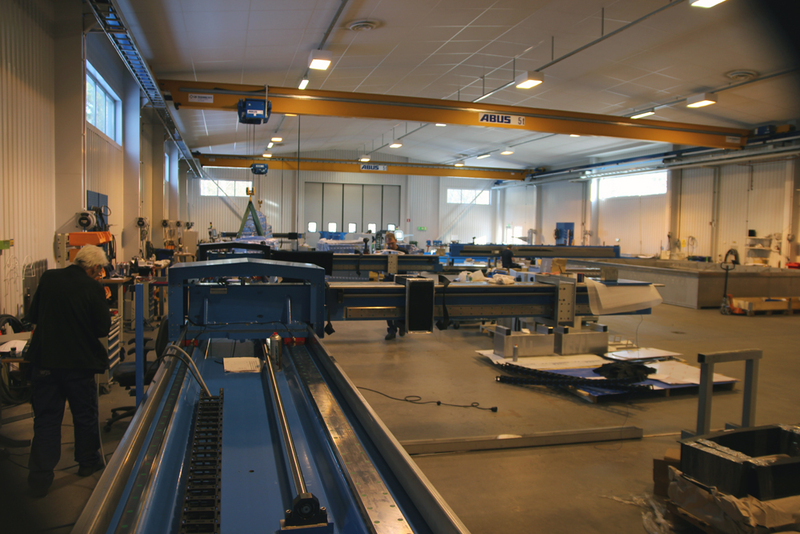 We went into the production hall of Water Jet Sweden in Ronneby, Sweden, to have a closer look at some examples. To cut heavy materials with a more than 0.1 mm accuracy consistently year after year demands a heavy duty machine design that can manage weight and withstand vibrations over time. The weight of the steel frame ensures machine stability. To select wrong material on the frame design can cost a lot in performance. You can easily see the difference if you lift off the cover panels (WJS does not use covers that have no functional benefit). The massive steel beams of the T-model are designed to withstand vibrations and manage to perfectly hold cutting tools and accessories. Water jet cutting is environmentally friendly, but it is a tough environment for high tech machines, Moving parts are sensitive to wear from abrasive and water and easy maintenance is key to performance and lifetime. On the T-model all motion system is enclosed which secure machine performance, simplify maintenance and prolong the machine lifetime. 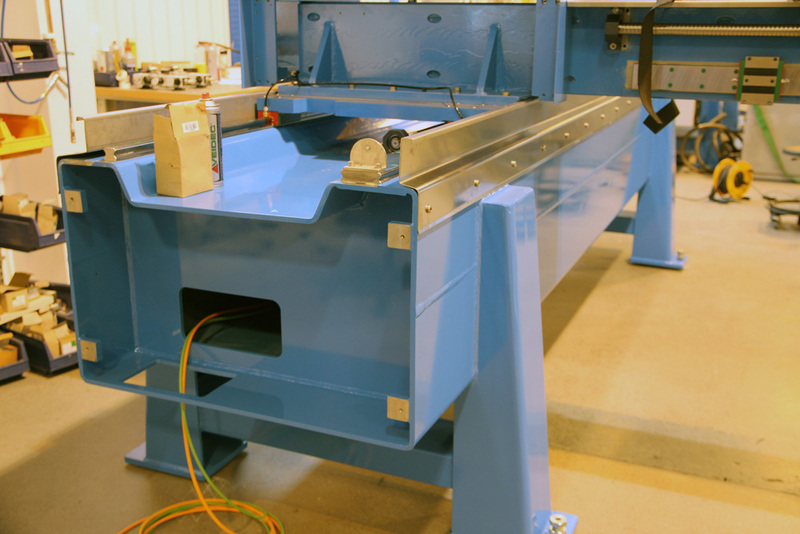 The motion system of a water jet cutting table must withstand torsion powers, often several hundred kilograms, and at the same time has a smooth movement to keep accuracy and tolerances at tenths of a millimeter. Even our T-model has a powerful Ballscrew of 32 mm in diameter. It manage higher rotation speed and will minimize the risk of wobbling and torsion to secure uptime and lifetime. The Ballscrews of Water Jet Sweden has quite a low pitch (20 mm/turn) to get a smooth movement with high resolution and accuracy when cutting. The pitch affect maximum speed, but a maximum cutting speed of 10 000 mm/min (X and Y axis) is more than enough for water jet cutting. Maximum travel speed (15 000 mm/min I Y and 15 000 mm/min in X) is a more academic figure since it will always be a very small part of total production time. It is crucial to have a stable and straight X and Y axis movement if you want a consistent cutting quality. Otherwise it is almost impossible to keep accuracy and tolerance measures in a machine. That’s what a wide and stable guide rail gives you. For small extra cost the wide guide rails improve machine performance and prolong machine lifetime. The T-model has two wide guide rails on the Y-axis where the main is 90 mm and support 35 mm. 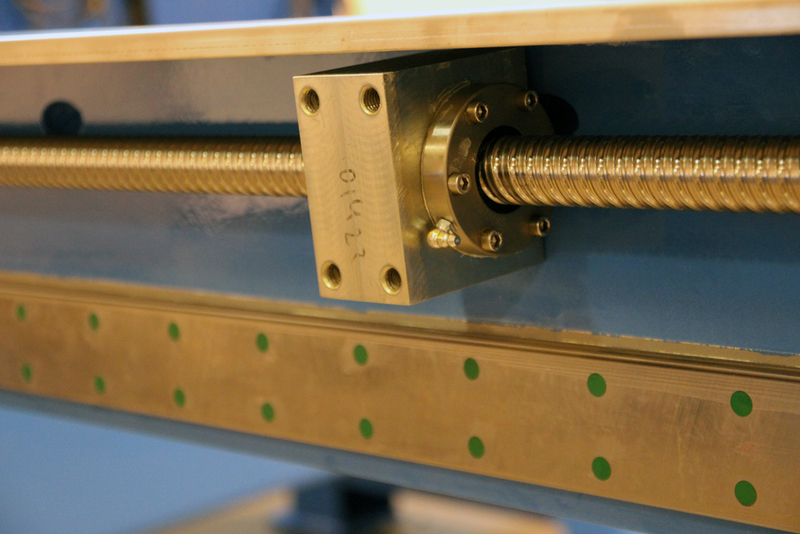 The X-axis beam has a stable 70 mm guide rail to make the Z-unit travel steadily. Our broad guide rails resist torsion, unnecessary tension and gives a consistent cutting quality, hour after hour, year after year. These are a few examples of how we design machines and offer a five year performance warranty on every water jet Sweden machine leaving our factory. 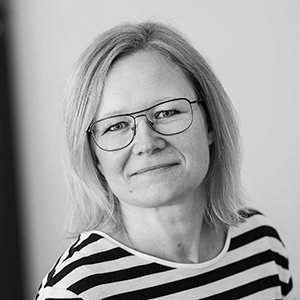 If you wish to know more about our long life, high performance machines and how they can bring competitive edge to your business, please contact us at sales@waterjet.se. Most welcome!